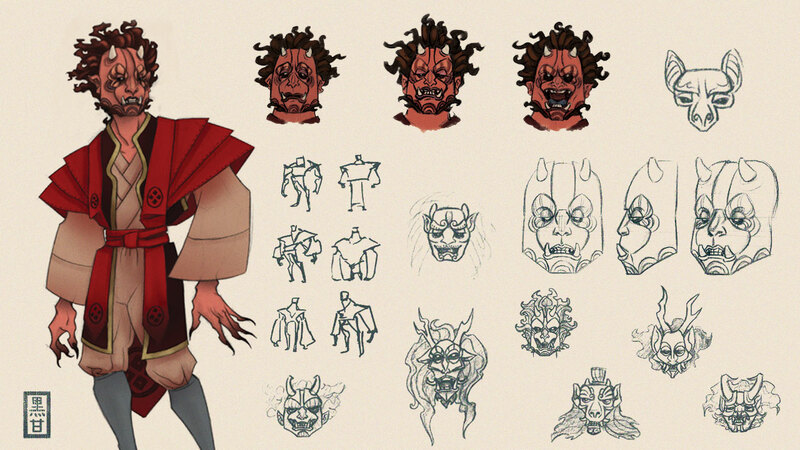 In part 1 of our “Purple Cow” Case Study with Rebecca Black-Gliko, we discussed how her unwavering focus led to a highly-competitive, entry-level position at Laika – the stop-motion feature animation studio that produced Coraline and Kubo and the Two Strings. 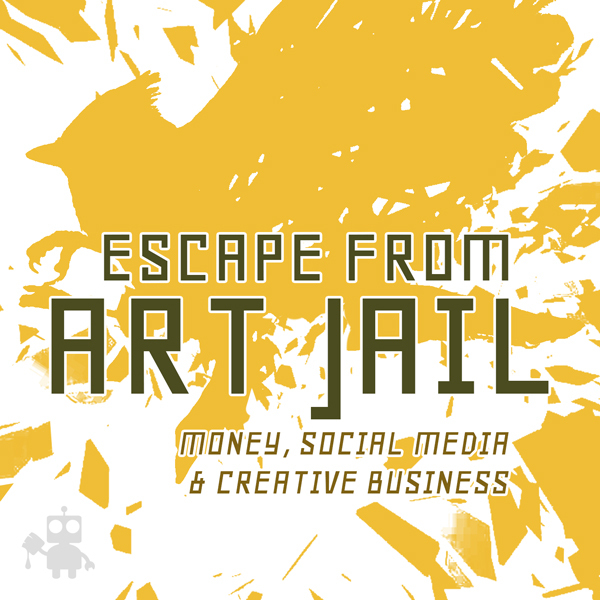 ‘Escape From Art Jail’ Is Available Exclusively To Oatley Academy Students. I’m holding back my tears as I’m typing this. Thank you SOOO much for this podcast. It was so honest and really spoke to me. I could relate to Rebecca on so many levels. I always wondered about artists fighting depression and other mental health issues in their lives. It’s such a tough topic to talk about and nobody really brings it up. Obviously, it’s quite personal, so that’s understandable, but there’s also the ‘taboo’ factor and that nobody who hasn’t gone through it doesn’t understand it (most of the time), which holds them back and that frustrated me. I went through the crying-in-the-bed-and-never-leaving-it phase too like Rebecca did. I was in constant physical danger from my immediate family, being subjected to abuse, and had only my husband (then boyfriend) as my support system and he was in a different city. He had helped me out financially too till I found a job like it happened with Rebecca. And fighting through that, the real world situations, the financial strain and the turmoil in the head is tremendously difficult. Just knowing that someone else went through that, and came out of it stronger and not letting those things ruin them is a BIG BIG boost!!! I also just loved how focused she is!! I’ll keep coming back to this podcast for inspiration to relentlessly pursue your passion and to be pro-active about it, just like I keep going back to the Aliki Theofilopolous podcast. I think Rebecca is the shining example of beating all odds to get to where she needed to be. Again, I can’t begin to express the gratitude I’m feeling for bringing such an amazing and honest podcast. I thought I couldn’t love you guys more. You just proved me wrong. Takara, thank you so much! I feel safe sharing here at OA. You people are wonderful!!! Great interview! I enjoyed listening to all of it and well done to both of you for digging into the mental health issues. There were lots of helpful nuggets in that. I have only one question this time. I’m so scared of following up because I don’t want to be annoying. I’m worried that I’ll blacklist myself by mistake. Any tips on dealing with that /preventing that? Hugs Ramya. I know you are talented and are going to do great things. You are special. I am so happy that I am a part of your journey through OA. Thank you Edge and Becki for being so honest. I agree with Sarah. This was such a great interview. I was having a bad day. It was perfect timing for me to listen in. Talk about puppets brings back memories of when I was a child. My mom made puppets and we did puppet shows at churches and schools. It was what we did as a family. I was a shy kid so if I had to speak, that was kind of torture. But I remember having fun with my brothers and sister behind the stage and trying so hard not to laugh. Having balance in life is important as is having a supportive person and or group. I think its important to have a connection to people who are like you that can understand how you think. Depression is so big in all walks of life. To be able to make an impact on a persons life through story telling one can use their hard times to do something for the good of others. Thank you guys! Another great episode! Hearing Beki’s struggle really resonates with me right now because I’m battling through my own problems as well. Her positive, focused attitude inspires me to keep improving my own art and to not get bogged down by negative influences from family members who aren’t supportive. Also, I just love her bubbly personality and I would be ecstatic to meet her in person when I go to CTNX this year! Thank you for speaking about deeper topics and allowing us to also share our own struggles. I’m so glad to be a part of this community where we support each other and help each other grow. Thank you so much Beki & Edge! Can’t thank you enough for this amazing episode. I definitely found myself connecting to a lot of the things said. It’s inspiring to hear the whole story of how Beki got to Laika after all the struggle. Seeing as how I have been dealing with post-school struggle myself- this is super important, I’m so glad she was willing to open up. I’m really happy that this is resonating with you 🙂 Have you found that things are getting a little clearer for you now? This was so awesome. I don’t even have many more words to say about it. Just awesome. I felt like I could relate so much. The part where she said one of the reasons that she chose stop motion because the stories were different stood out to me. I really appreciated you both sharing your experience with depression. And… Puppets. I love the puppets. Chris Oatley was a character designer and visual development artist at Disney for five years before he left to create The Oatley Academy of Visual Storytelling. Chris Oatley's ArtCast is the #1 illustration podcast on iTunes. He co-hosts Escape From Art Jail, The Paper Wings Show and is a frequent contributor for ImagineFX Magazine. At The Oatley Academy, he teaches composition, color theory, character design, storytelling and digital painting. Ejiwa Ebenebe (you can call her “Edge”) impressed her peers and teachers at The Oatley Academy with her sophisticated artistic style and wisdom beyond her years. She is an alumni of The Magic Box, Painting Drama and The Spark. In 2015, she joined Team OA as an Editorial Assistant where she is currently working with Chris Oatley to develop new business strategies for visual storytellers. Together, they produce and co-host Escape from Art Jail. Whether you’re pursuing concept art, illustration, character design, storyboarding, comics, animation or children’s books, The Oatley Academy will help you become a professional Visual Storyteller. Please reach out! We would love to connect with you.